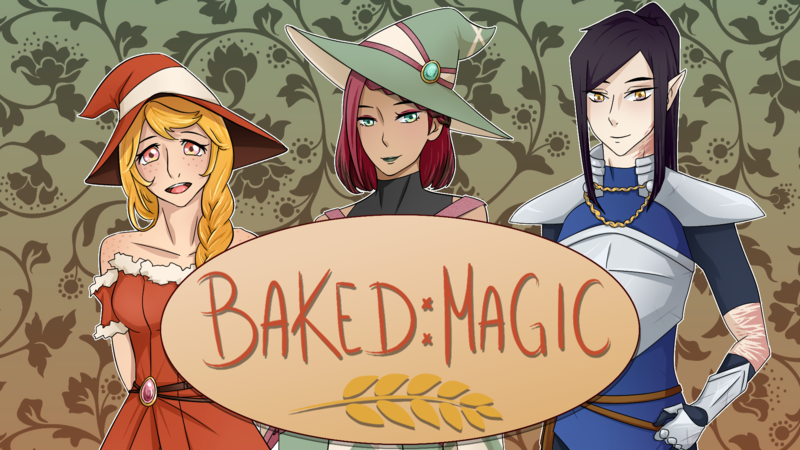 It's taken me longer than planned but the BAKED:MAGIC artbook is now available for download. There are 34 pages (including the front and back covers) of art assets, sketches, works in progress art and of course commentary. There's also a short Q&A with the chibi artist. It's been a long process and I feel like I've learnt a lot from making BAKED:MAGIC. I was never confident with creating backgrounds but Yuri Jam forced me out of my comfort zone and I've definitely grown as an artist. Hopefully, I'll continue to grow and improve. From this point onward I'll be working on DRUNK:MAGIC and hope to expand the world that Lana, Elliot and Jayne first introduced to everyone.